First post in a long time for a new favorite beer (in it's class). Never before have I had a truly hoppy 2.8% abv beer. This is the bud light of IPA. You could drink it all day and never get wasted. The nose has maybe some citra and the hop profile is definitely IPA, but the body is super lite beer style. 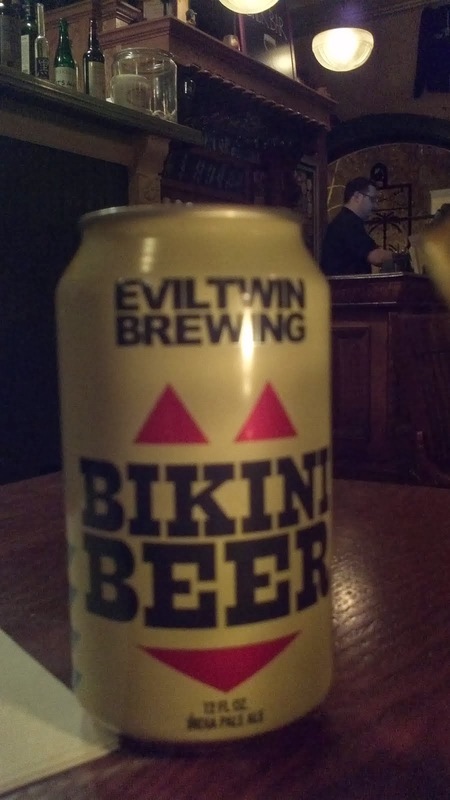 Named after an atom bomb test grounds, designed by a French car engineer - the bikini was to many a disturbing and degrading creation but fortunately for others a symbol of emancipation. This attractively light-bodied, seductively well balanced and very drinkable Bikini Beer is anything but a sissy beer. Some might argue about the sissyness of such a small beer, but regardless this is definitely the hoppiest of the lite beers I've ever had. And how can you say no to a bikini anyway?